All of us who have tried to book a train using the IRCTC website on a mobile device know how frustrating it used to be, zooming in and out to read and click on things. But the new IRCTC website which they launched recently makes booking easier on a wide range of devices, including your mobile devices, without a need to install any app. You can access this new website by going to the official IRCTC website, https://www.irctc.co.in/, and by clicking on the bright red link button on that page saying, "Try New Version Of Website". Clicking on that link button takes you to the new website, which may eventually replace the old one. Update: 16 June 2018 : Now the official website of IRCTC, https://www.irctc.co.in/, is updated and when you visit it, you will be using this new website interface. The new website has a clean and easy to use responsive design. It can be easily accessed on any device. The new website renders properly irrespective of the screen size of your device. It can be easily used on computers, tablets, or mobile devices, unlike the older version of the website which was a bit difficult to view and work with on a mobile device or on devices with smaller screens. From the new website's main page, you can easily search and find trains without being logged in. You can start the search with From, To, Journey Date, and the Class of the train you want to book for your journey. By default, All Classes are selected. You can search for and book for a train about 124 days (approximately four months) in advance. Your search returns all available trains for that date, on the same page, along with the option of checking for previous dates and next dates for each train. While on desktop, options to refine your results appear on the left, letting you easily filter your search results by Journey Class, Train Types, From Stations, and To Stations. Below that, there are options to fine tune according to your desired Departure and Arrival times. 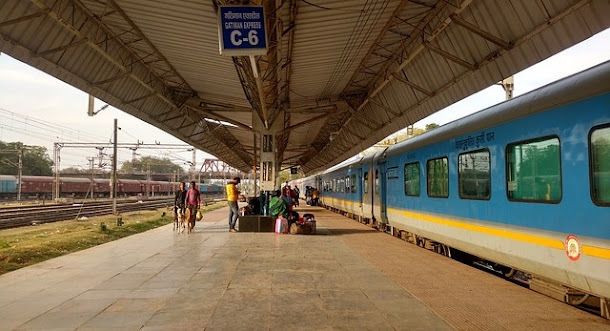 The Train Types, for example, Duronto, Shatabdi, Rajdhani, are all denoted by different colours so that you can easily identify them on the search results. You can easily modify your search from the top of the same search results page itself, which lists all options like Origin, Destination, Journey Class, Journey Date, and Number Of Passengers. By clicking on Check Availability button for a search result which displays a train, you can expand the details for that result, which includes the availability on that date, or the choices to view previous or next day's availability. You can also easily change the Journey Class (AC, CC, Sleeper Class, etc.) for that particular train by using the drop-down box provided. 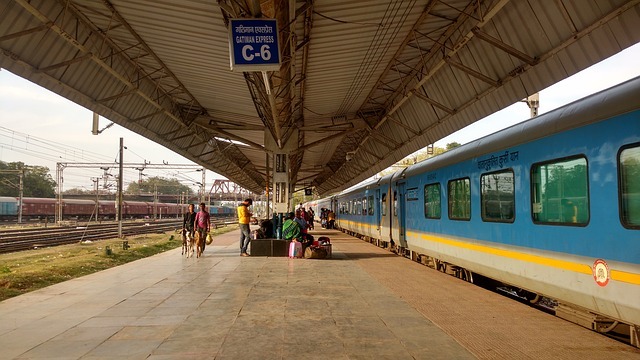 The Total Fare per passenger is listed just to its right, which is inclusive of the Base Fare, reservation Charges, and any other charges like Superfast Charges, depending on the Type of Train you chose. You can see this by hovering over the information icon next to the displayed Total Fare. For each train listed for a date, there's a Book Now button to proceed with booking if available, and a new CNF Probability button to forecast confirmation probability if there's a case of Wait List. An algorithm will predict the confirmation probability for the Wait-list cases. To use proceed and use the Book Now and CNF Probability options, you will be required to login to your IRCTC account. You can login with the same credentials as the one you use to login to the old IRCTC website. So, did you find the new IRCTC website easy to use? You can give your feedback on that website, when you're logged into your IRCTC account, by clicking on the Feedback tab in your My Account tab. When you view that website on smaller screens, these tabs and navigation menus are collapsed into a little menu button on the top-right of the page. You can view them by clicking on that menu icon. On smaller screens, like, a mobile device or a smartphone, this menu button currently appears on the top-left of the page. The option to logout can be found under the My Accounts tab. Images in this post are only representations. Images in this post are from Pixabay, unless otherwise noted.